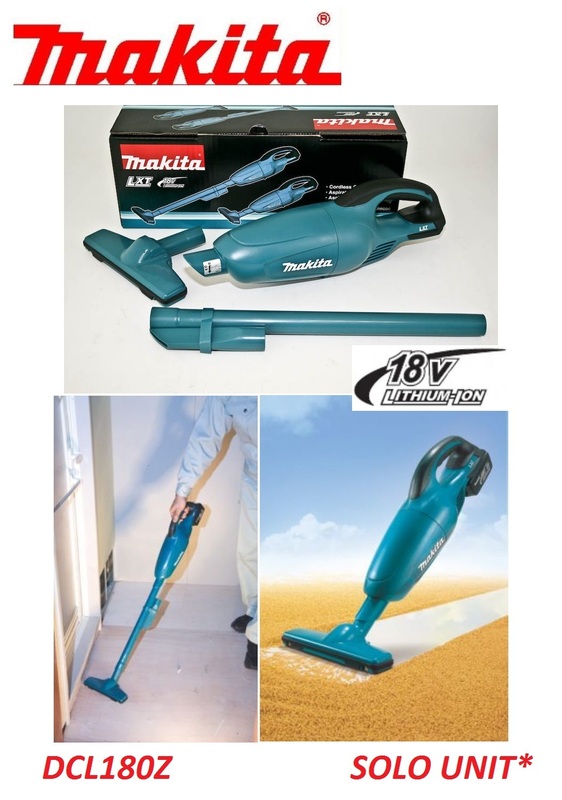 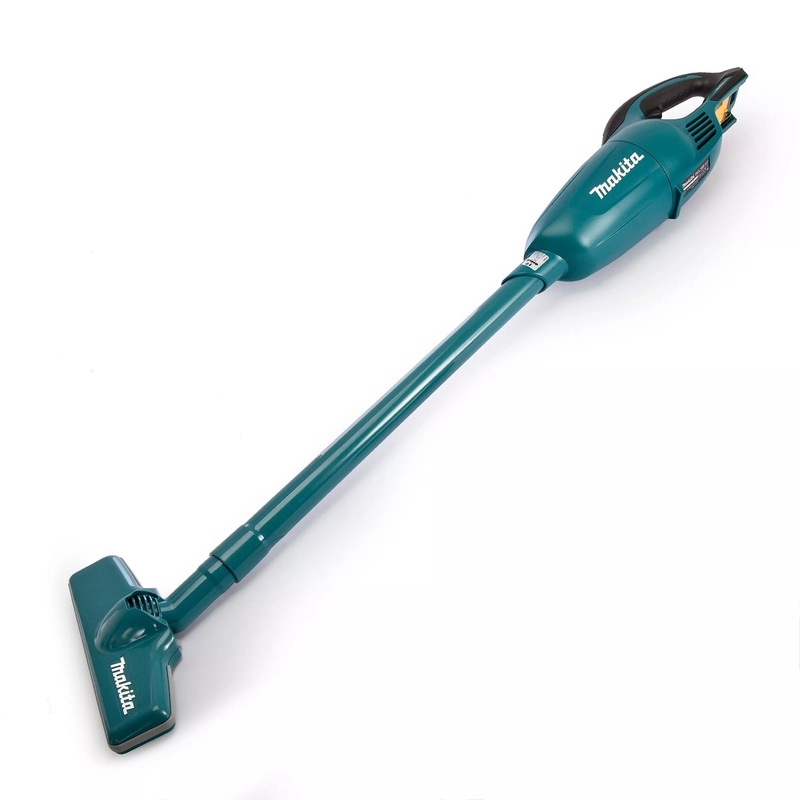 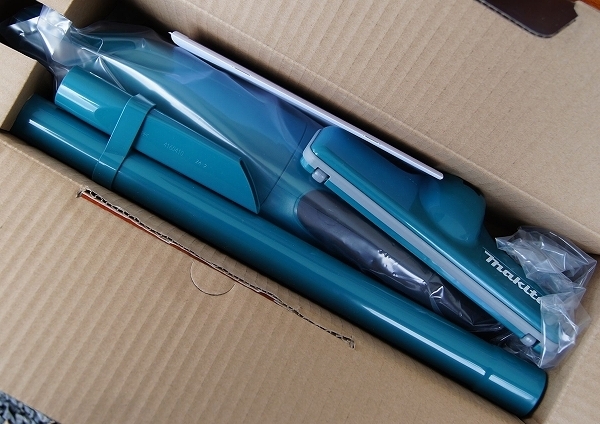 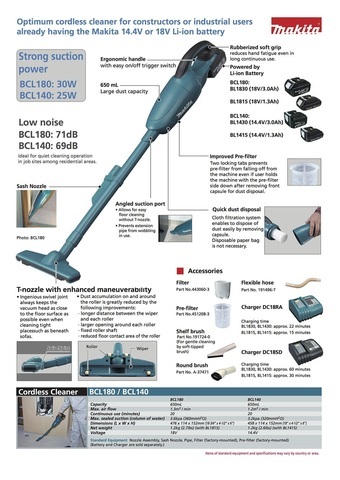 Makita DCL180Z Cordless Stick Vacuum Cleaner (Solo Unit).. 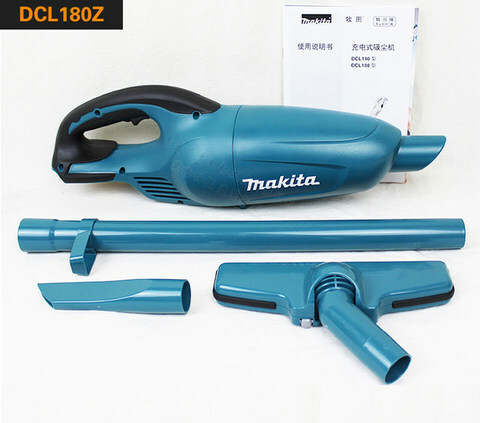 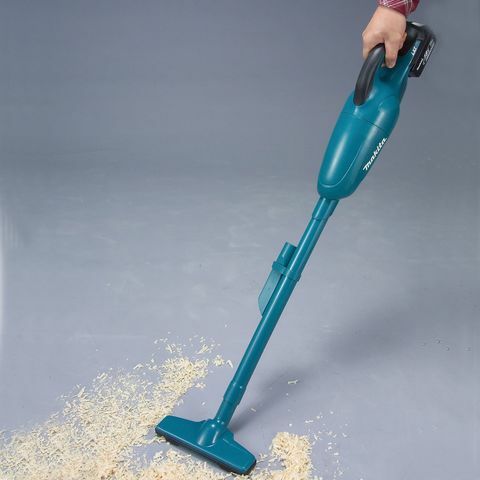 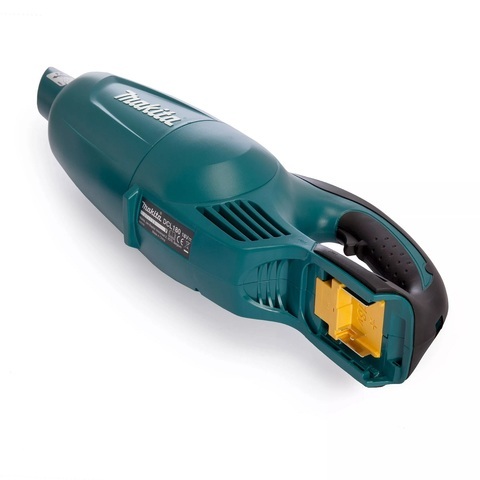 The Makita DCL180Z is an optimum cordless cleaner of cloth filtration type powered by a Makita Li-ion battery. 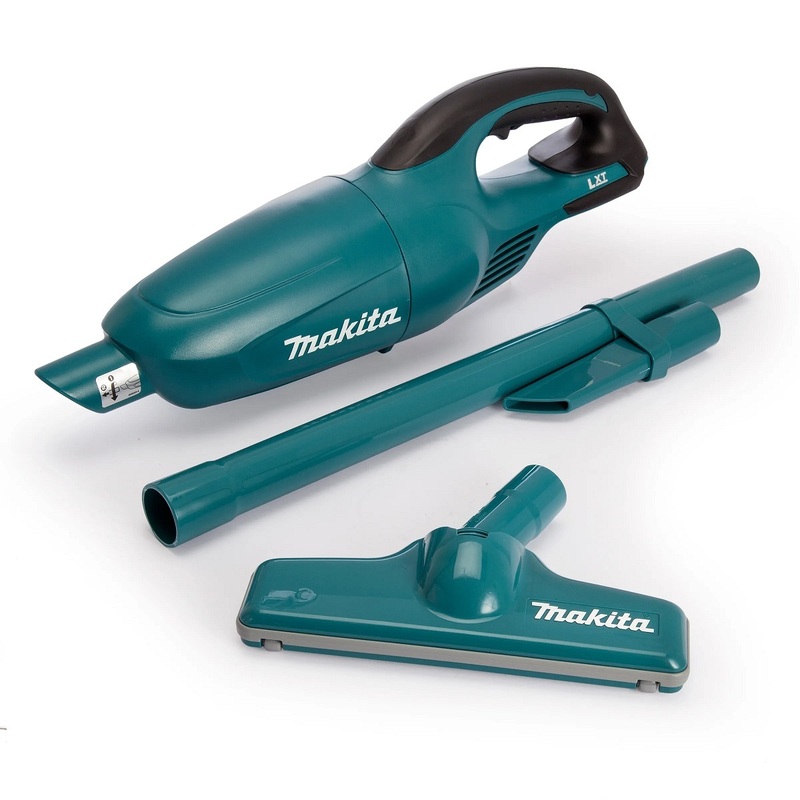 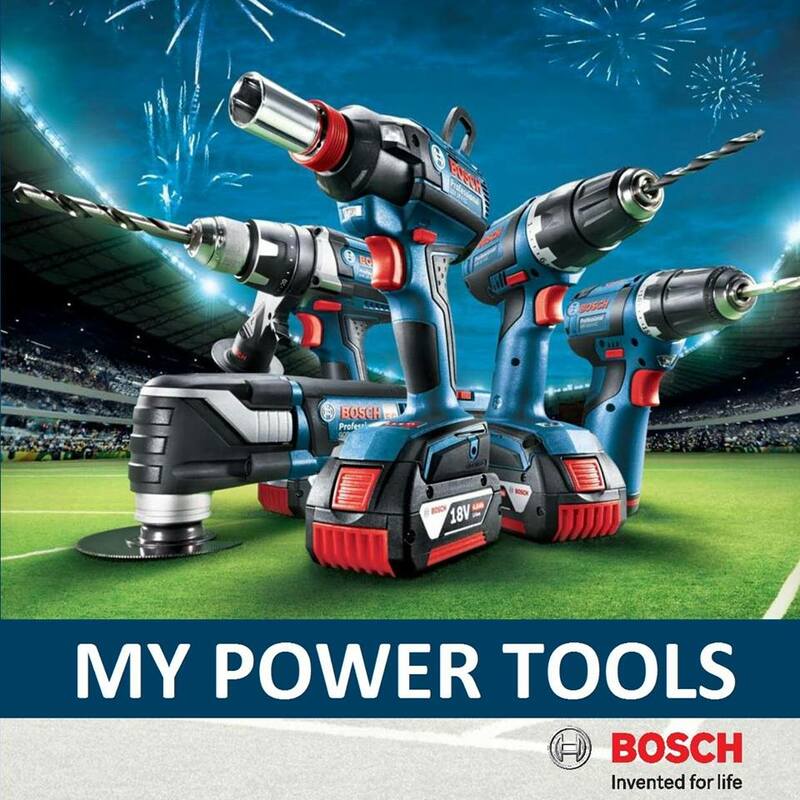 Strong suction power and large dust capacity of 0.65 Litres for heavy-duty applications. 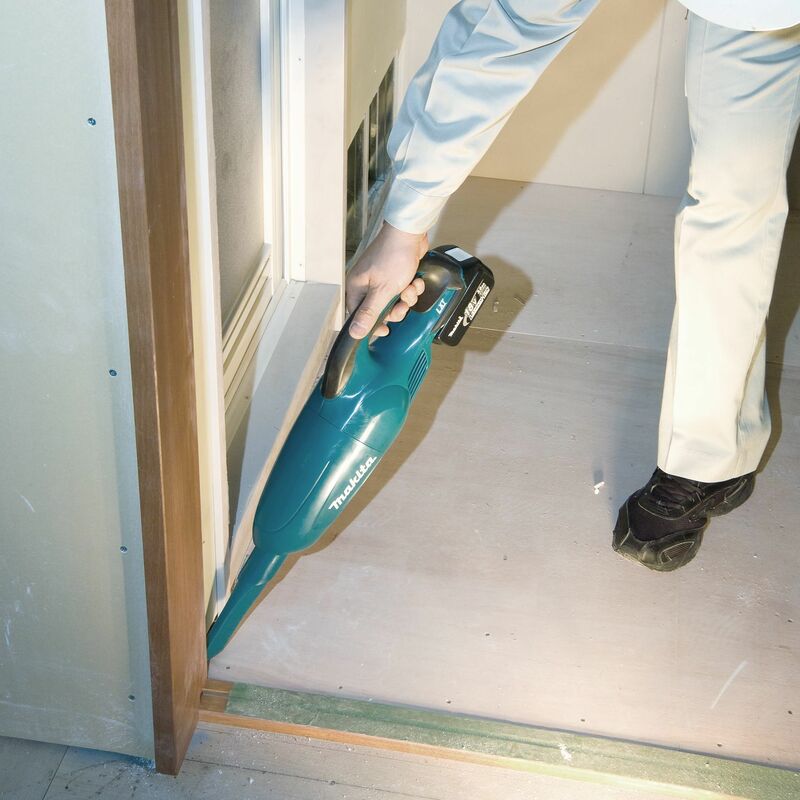 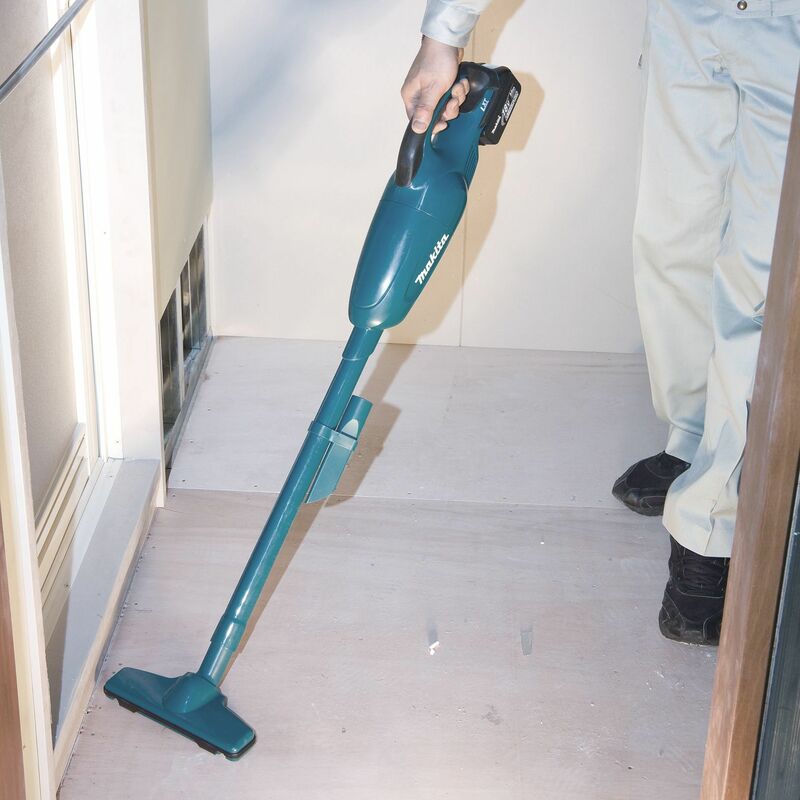 Low noise design ideal for quiet cleaning operation on job sites. 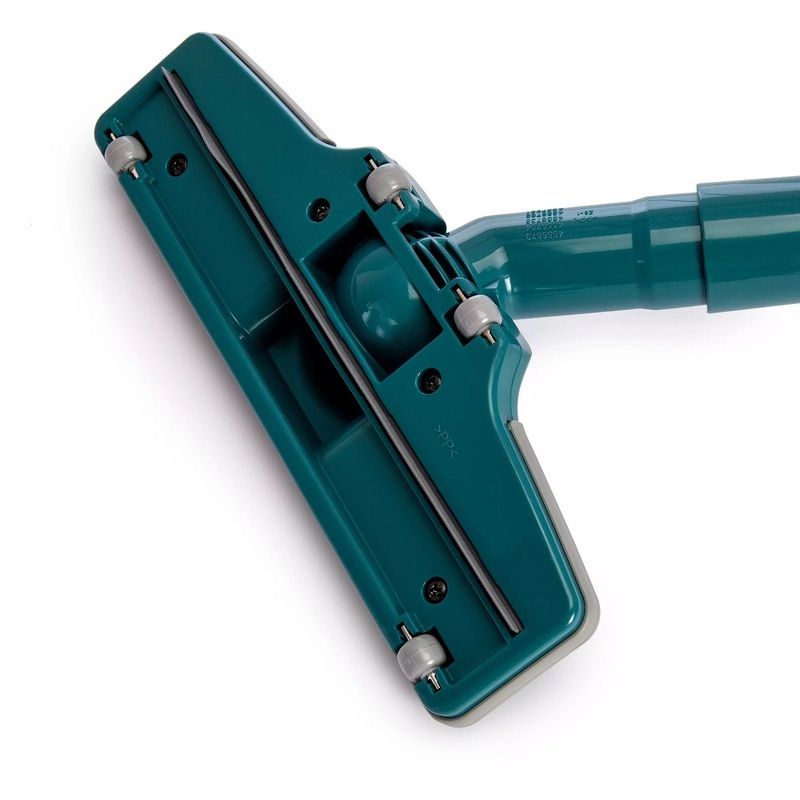 Rubberized soft grip for reduced hand fatigue even in long continuous use. 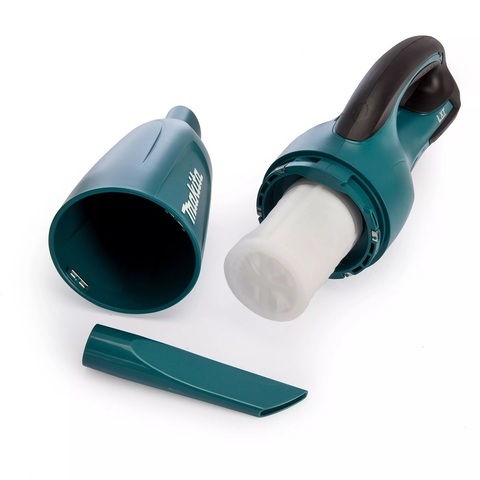 The Angled Suction Port is handy for use without Extension or T Nozzle which makes it a shorter, less bulky cleaner for smaller cleaning jobs on workbench etc.